Lot 13-01, Level 13 Public Bank Tower, No 19 Jalan Wong Ah Fook, 80000 Johor Bahru, Johor, Malaysia. 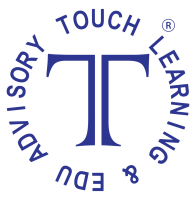 Touch Learning & Edu Advisory Sdn.Bhd. ( formerly known as Touch Learning & Training Centre and hereinafter known as TLEA ) was established in 2010 in Johor Bahru with the objective of being one of Malaysia's premier Education Consultancy and Language Centre . With 3 branches located in Skudai, Kulai and Downtown JB, we do provide programmes tailored for children, teenagers and working adults who wants to excel in their command of the English language. Besides that, we are also an Authorized Registration Centre for IELTS Examinations.